A couple years ago, it was brought to my attention that I frequently translanguage when telling stories. I continue to find myself filling my stories with the words of others in the language in which they were originally uttered. For example, if I am relating what a Spanish instructor said in class, I will reproduce exactly what he said in Spanish before providing an explanation in English. I do this irrespective of whether or not my interlocutor speaks the language of the characters who populate my stories. In reflecting upon this unconscious habit, I feel that doing otherwise simply wouldn’t do justice to the story. A translation of all quotations into English is not enough. It somehow does not have the same impact as the original language. It’s does not succeed in recreating the experience produced by the words when they were originally uttered. 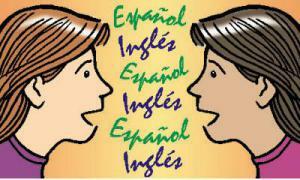 Do you find yourself translanguaging in similar ways? Do you tell stories in multiple languages?